SINGAPORE (ICIS)--China’s petrochemical imports from Iran are not expected to take a major hit upon the US’ re-imposition of sanctions against the Middle Eastern country. 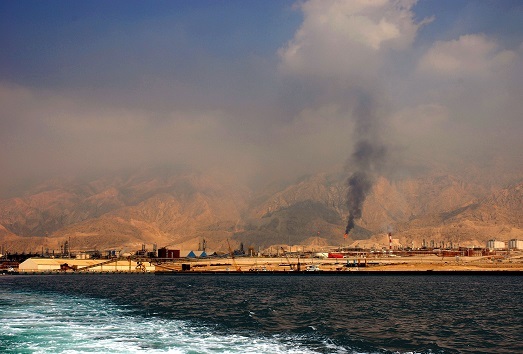 Even before the landmark 2015 Iran nuclear deal, the world's second-biggest economy has been procuring heavy volumes of polyethylene (PE) and methanol, as well as crude, from Iran. “In the medium term, the new sanctions may change the trading flow to some extent – more Iran cargoes … may target [the] China market, but which may be limited by some factors,” said Amy Yu, olefins & polyolefins analyst at ICIS. Trump on 8 May announced the US decision to withdraw from what he views as a “defective” pact, noting that the sanctions to be re-imposed are targeted at critical sectors of Iran's economy, such as energy, petrochemical and financial sectors. “Oil is not a big problem. For one, China can switch to other suppliers to replace Iran quite easily, particularly Russia. For another, China may not need to import that much of oil at all,” She said. “We are exporting more and more gasoline and diesel, which means our refineries have processed too much oil into those transportation fuel. So, cutting imports from a single supplier will not be a problem,” he added.